In my previous two articles I covered what the fixed and growth mindsets were (Part 1) and how it should be implemented in coaching, particularly in dealing with poor performance (Part 2). In this article, I will explore how you, as an athlete, should create a growth mindset and then how to deal with poor performance yourself. 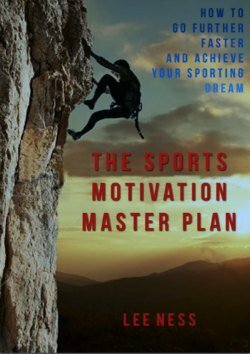 In my book, The Sports Motivation Masterplan, I devote a whole chapter to why failure is good. You will know by now, of course, that I am a strong believer in the growth mindset so I won’t overdo that, but it is critical that you develop this growth mindset because to be able to fail and see failure as a positive step is crucial to your development as an athlete. The whole point of training is to get better, to learn new things and to push yourself. There are times when it is appropriate to be the best, but these are when a competition matters when it is important to be noticed. What will get you there is a failure, being second best. Be clear though, this does not mean that you should accept failure, quite the opposite in fact. You must put yourself in a position where you are a long way from being the best and then do everything you can do to become the best. If you get there, find another situation where you are no longer the best and start the process again. This means putting yourself into competitions where you are going to get beat, or putting yourself in a training group or age group that is better than you are right now. 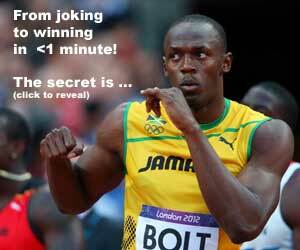 READ Usain Bolt 200m Secret: Dropping the Shoulder? If you have a fixed mindset. The section above will not work for you. If you look at all the characteristics of a fixed mindset described in Part 1, then you will experience all of these. However, this is where your journey starts. Where do you need to be that will allow yourself to join that group, or enter that competition, to release your comfort blanket? It can only be a growth mindset. What do I want out of this competition? How am I going to get that from this event? Your objective is to have a learning outcome, something you can take away. If that is your objective, then as long as you learn what you came to learn, then you have been successful. If you are testing yourself against people that are better than you, then you can start to look at where they are better and start to work on those to narrow the gap. It is then the gap that is your measure of progress, not a binary win/lose outcome. Focus on the process. If it is a tough session, how long can you match that other person? Then, can you hang in one more rep next time? If you’re 6 seconds behind in this race, can you get to 5? Then 4? What if it still goes wrong? Sometimes though, you’ll make your plans, and you’ll be focused on your learning outcomes, on the process of how you are doing your race, not the result, and the wheels will still fall off and it will all go away. In that case, here is a simple mechanism for dealing with it. Take a piece of paper and write on it everything that contributed to your performance not being as you expected. Include everything you can think of. It might not just be about what you did; it can and should include what other people did. Take the list and assign an A and a B to every item. Assign an A if it that item is within your control (be careful here to make sure you are taking responsibility appropriately. If you could or should have done something different that would have led to a better performance, that is an A, even if it meant setting off earlier to avoid traffic. The B’s are for the things that you could not have controlled; your competitors performance, the organizers and so on. Now write these onto two separate pieces of paper, one for the A’s and one for the B’s. Do a last check that the B’s couldn’t be controlled and then screw that list up and throw it away. If you could have no influence on them, then there is no point worrying about them, so throw it away and forget about them. Burn it if it makes you feel better, as long as you are releasing yourself from all the B’s. Now you have a list of the things (the A list) that you could have done better or controlled more, and you can deal with each item. Decide what you are going to do differently next time, and then implement your actions and start to prepare for the next time you compete. 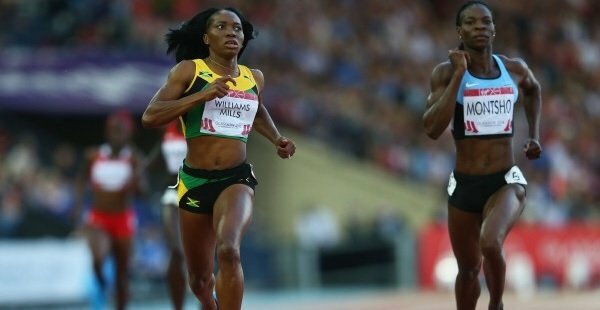 When it comes to performance, track and field numbers are a double-edged sword in the lack of subjectivity in what we do. A good performance is a good performance; it is black and white. However, if you can run a 47 second 400m and finish the field with a 50 second run, then the facts are incontrovertible. But, until you become elite, the consequences of that performance aren’t terminal. The main target for all athletes is improvement, and that should override all other considerations. How can I use what just happened to improve for next time?